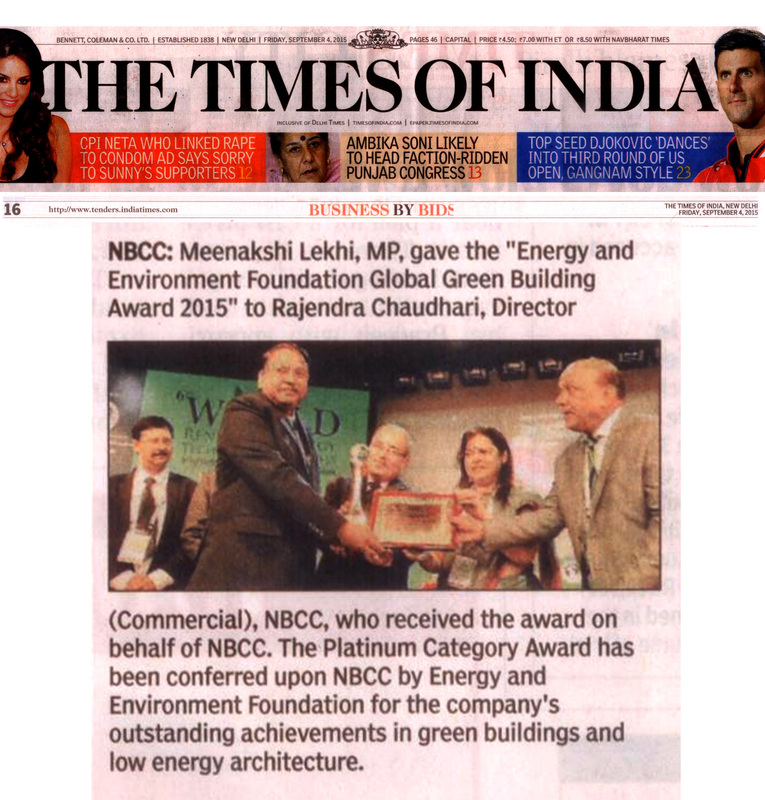 NBCC had won the Energy And Environment Foundation Global GreenBuilding Award 2015 in Platinum category. Mr. Kerry Adler, President and CEO SkyPower Canada announced while delivering the Plenary Address at the 6th World Renewable Energy Technology Congress (WRETC), the SkyPower will fund the creation of a new renewable energy scholarship program to leading institutions "NIMS University", "EMPI Institute" and "IIT Delhi". SkyPower will provide 10 scholarships to these institutions per year for next 25 years. The merit and needs-based scholarship program will benefit 750 Indian students wanting to pursue higher education in renewable energy technology. The scholarship program will help promote innovation in solar technology and energy storage in India. » Released Coffee Table Book "Green Earth: Beyond 2050"
It was inaugurated and released by the Minster and Member of Parliament, Government of India, Ms Meenakshi Lekhi. It is a compilation of images and motivates people to act now to save the earth. The book will be available to public in the coming months. Attached are few images of the book.